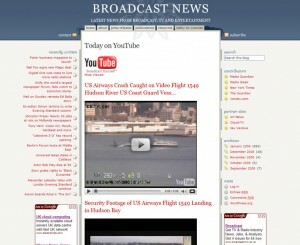 I’m pleased to announce that Broadcast News is now available on media darling Twitter. Stay in touch with the latest developments while keeping up with friends and other industry news. Every time the site is updated, we’ll tweet you – and if you like the headline, you can read more on our site (or even more on the original site – links are provided). And if you have something to say or know of a story you think is newsworthy, go ahead and shout at us. Easy as that!